Hurry! Time is running out. 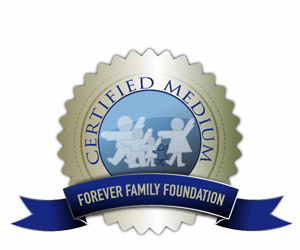 If you would like to attend: Mediums Behind the Scene: The Second Biennial Afterlife Explorers and Mediumship Convention in Ft. Myers, FL on November 9th, 10th and 11th, 2018 – you better go to www.foreverfamilyfoundation.org now! Sign up and use the code from my facebook live post to receive $75.00 off the cost of the convention. It is going to be filled with workshops, presentations, and learning about what happens after death. If your interested in Mediums or the Afterlife, then this convention is for you! I hope to see you there.